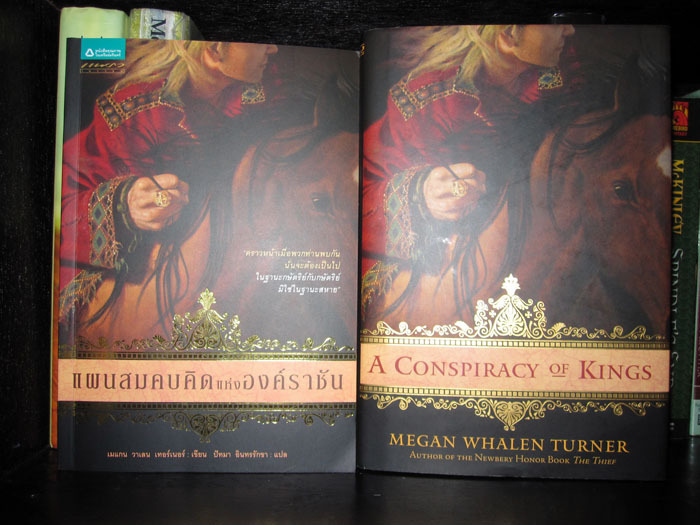 Look at what I picked up on an airport bookstore (the one on the left, obviously) – it’s the Thai edition of A Conspiracy of Kings by Megan Whalen Turner. 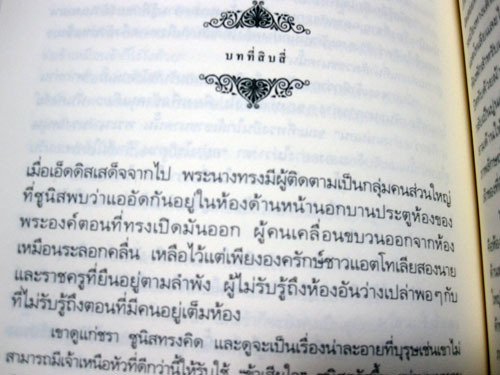 I won’t be able to read it because the text is in Thai but I thought it would be a good idea to keep it as a souvenir. Good thing they didn’t have the other books because I would’ve been tempted to get those as well. I’m still a bit sick so I haven’t been reading a lot lately, hence the silence in the blog, but I hope to get back in the swing of things soon. While I enjoyed the Siam Niramit show as well, the locals call it a tourist trap. Hehe. And the Grand Palace. Seriously. One day is not enough to tour the place! You have to be able to stop and appreciate the architecture and imagine what life must have been like in “ye olden days”. I did the same thing when I visited the Forbidden City in Beijing, which has the same sprawling courtyard and palace building vibe, though maybe a bit less Buddhist-centric and a bit more Confucian–lots of mottoes and sayings plastered all over!. I have the book “Anna and the King of Siam” by Margaret Landon, on which the musical (and movie) The King and I was based. But again, that book (and the movies that it spawned), don’t really seem to sit well with the locals, who really, really love their kings (witness the pictures of King Bhumibol that can be found on literally every street corner). Aww really? But I thought there were some locals who watched the show. It was a great show even if it caters to tourists. But there’s an entrance fee per day, right? Maybe next time we should be more prepared and bring water or something so we won’t be so tired. If I ever go back, I want to try and go to Ayutthaya. We were supposed to go but since it was a few hours away from Bangkok, we weren’t able to squeeze it in. Yes, my friend was speculating that maybe they thought of their king as a god and I told her that that belief was in Japan and not Thailand. They just really love their king so they have shrines all over the place. LOL I know what you mean, Filipinos look like Thais and vice versa. But they kept asking if we were Indonesians or Singaporeans. And they call us Philippine over there. Siam Niramit is pretty much a summary of Ancient Thai history in song and dance form. Hehe. So I suppose it would be educational for little Thai kids, but maybe not so much for the adults. I don’t think that the entrance fee to the Grand Palace is that expensive, although buying a guidebook or one of those self-assisted tour earphones might help heighten the experience. I remember having shop owners call to me in Thai while I was browsing through the stores, and then suddenly switching to pidgin English (not exactly a PC term, but I can’t seem to think of another one at the moment) when they saw my blank stares. Entrance to the Grand Palace was 350 per person, not that expensive but I don’t think I’ll be going back on multiple days if I ever go again. I mean I can always check out the Reclining Buddha or Ayutthaya for something different. LOL it’s funny how Southeast Asians all look alike but we’re so different when it comes to culture and language. While we were in Bangkok, my friends and I finally understood why foreigners would always say that Filipinos speak good English. I now have a new dream: to go around the world collecting international editions of Queen’s Thief books. That is awesome. Sorry you were sick but I it looks like a fun trip! That would be an excellent idea! I wasn’t expecting to find the Thai edition of Conspiracy, which made it all the more fun that I did. Good thing it wasn’t that expensive. We wanted to try the Chao Phraya tour and dinner but it was expensive and we didn’t know where to squeeze it in. Next time I go there, I’ll try that. As for the weekend market, if you mean Chatuchak then yes, we went there. Glad you got to enjoy even if you got sick. :( You weren’t able to check out the Reclining Buddha? 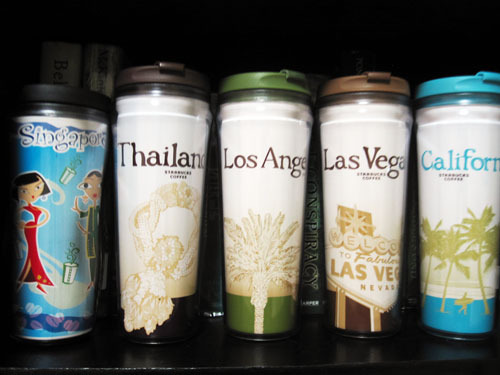 Great souvenirs! Aren’t books in Thailand a bit expensive? No, we weren’t able to go to the Reclining Buddha. 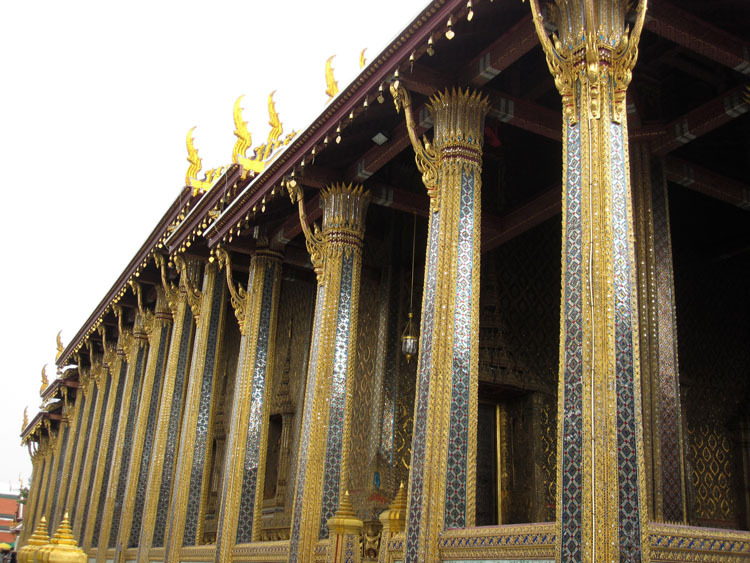 We stayed at the Grand Palace for one afternoon and we were so tired after that we just wanted to go back to the hotel. I think the price of books there is similar to here. The Thai edition of Conspiracy was 195 baht. Did you enjoy the food? I’m sure it’s not very authentic but Thai food found locally is my favorite ethnic food of choice right now. Sorry you were sick! Are you well now? It’s good to have you back. 🙂 I’ve missed your reviews and other posts. You know what, I used to think I LOVED Thai food but then realized that the ones available here in the Philippines aren’t that authentic because they’re not spicy at all. 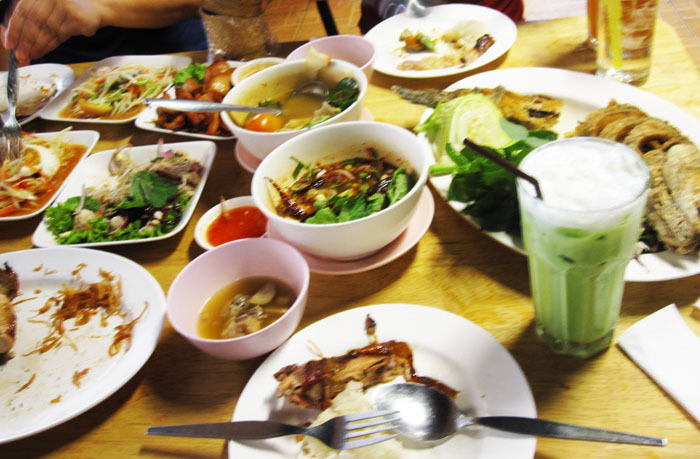 And food in Bangkok is SPICY. Even when they that the dish isn’t spicy, it IS when you try it. But if you have higher tolerance for spice then you’ll love it. 🙂 I was the wimp in our group and I couldn’t handle all that spiciness. A little better but still a bit sick. I’ve been sleeping a lot lately, trying to catch up on rest so I’m looking forward to the weekend. I hope I get some reading done. I know what you mean! My friends were like, “why are you buying that when you won’t be able to read it?” and just shrugged when I said I wanted it as a souvenir. Good thing I still had some baht left when we reached the airport.